Could this horse be smelling lavender? We hope so! Horse riders and owners dedicate quite a bit of time to calming down their stressed animals, using methods including tranquilizers, bathing, whispering, and stroking. But a new study from the University of Arizona indicates that there might be another way: just give them a sniff of lavender. Researchers in Arizona commonly used horse heart rate to teach about heart rate variability, essentially the time between beats. Heart rate variability can be an indicator of stress – literally measuring how heart-pounding a situation is. So they decided to try out some aromatherapy. Aromatherapy – the use of scents, often essential oils from plants like chamomile, lavender, and citrus – does not have a significant corpus of scientific research about its efficacy, but that doesn’t mean it’s ineffective. The limited research out there indicates it might improve mood if nothing else. A 2013 study tested out aromatherapy on horses by blowing an air horn at them and then having them smell lavender and measuring their heart rates. (Seriously. This was a real study.) But that kind of externally induced stress doesn’t tell you much about horses that are naturally inclined to be anxious, many of which are. So the new study tested horses which were stressed out, but not by external factors (like an air horn), then having them smell water (for a control), chamomile, and lavender. What the researchers found is that heart rate was not different among the horses, but something called RMSSD was. RMSSD, which stands for “root mean square of the successive differences,” is a measurement of parasympathetic activity; it’s sort of the opposite of sympathetic activity, which stimulates the fight-or-flight response. (The parasympathetic system’s version is sometimes called “feed and breed” or “rest and digest.”) When the RMSSD figure goes up, it indicates more relaxation. The lavender provoked a spike in RMSSD while the horse was smelling it; neither the chamomile nor the control water caused a spike. 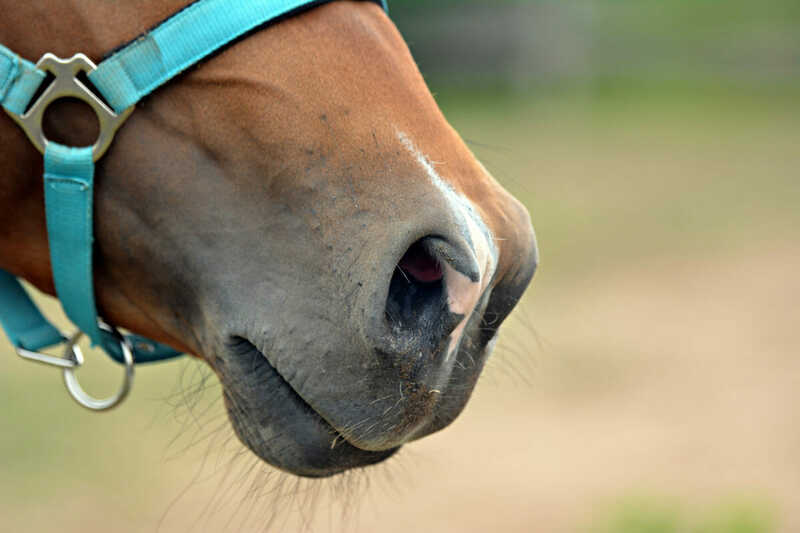 The researchers also noted some other behavior indicative of relaxation when the horses smelled lavender – neck lowering, licking, that kind of thing. It’s pretty fascinating research, not just for horses, but in the field of aromatherapy in general. Previous studies have linked lavender to increases in RMSSD in humans, too. The moral of the story? Horse owners: next time your animal is stressed out, maybe sprinkle a few drops of lavender essential oil into your hand for it to sniff. And go ahead, take a whiff yourself, too. Pick some up here!